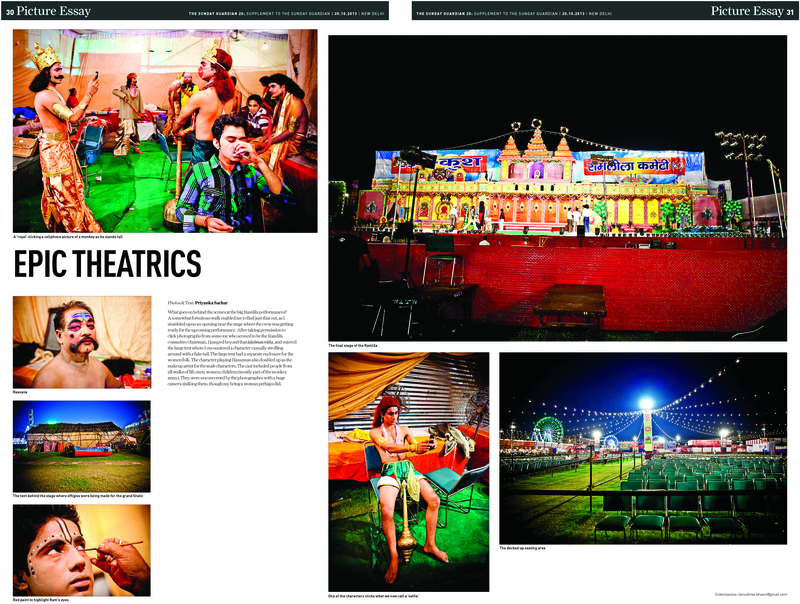 This photo essay covers the “behind the scenes” preparation by artists who perform multiple shows of Ramlila at Ramlila maidan (Red fort, Delhi) every year. A chance visit to the Dusshehra mela at the same grounds resulted in the curiosity to see what happens behind the stage. Following the trail of empty metal & paper carcasses of Raavan, his brother Kumbhakaran and son Meghanath, I stumbled upon an opening near the stage which seemed to be where the “army” was getting ready for the upcoming performance. After taking permission to click pictures from someone who seemed to be the Ramlila committee chairman, I jumped beyond that Lakshman rekha, pun unintended, and entered the large tent where the first thing I saw was a character casually strolling around with a tail on his rear. The large tent had a separate enclosure for the women folk getting ready. The character playing Hanuman also doubled up as the makeup artist for the male characters. He was busy doing makeup for all the men folk, at the end of which he would do his own makeup. The cast included people from all walks of life, men, women, children (mostly part of monkey army) who were literate and loved doing this as well. They were not too concerned with a photographer with a huge camera stalking them, but the gender of the photographer seemed to surprise them a little. The women folk were generous with their compliments. Almost all of them had been doing the same roles since over decades and knew their roles in sleep. They were polite, cordial and friendly. We were offered tea, coffee and chairs to sit when it seemed appropriate. The images present the find that was unearthed. 7 of these images got published as a photo essay in the Sunday Guardian this week. The article had a short description and I’ll let the pictures do the talking :). The photo essay can be seen here – [jpg doublespread], [pdf] . A ‘very low res pics’ version of the article is online as well. The entire album (38 images) can be seen on my Facebook page. 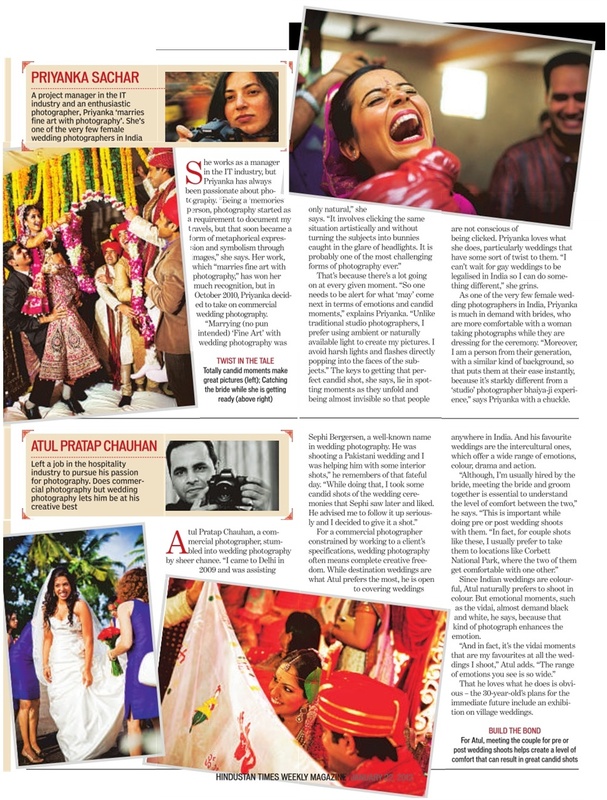 Yet another article on candid wedding photographers in India, but who’s complaining :). I got interviewed by the Time Out magazine about a month back and here’s the article below. Several of my colleagues have been interviewed here and we all got one “sound byte” it seems. Since the magazine is yet to hit the stands, it has not been uploaded on their site yet. However you can read the pdf’s here and here. A factual mistake in the article is that I left my 11.5 years of software industry experience behind when I started wedding photography and not 8 years as mentioned here. 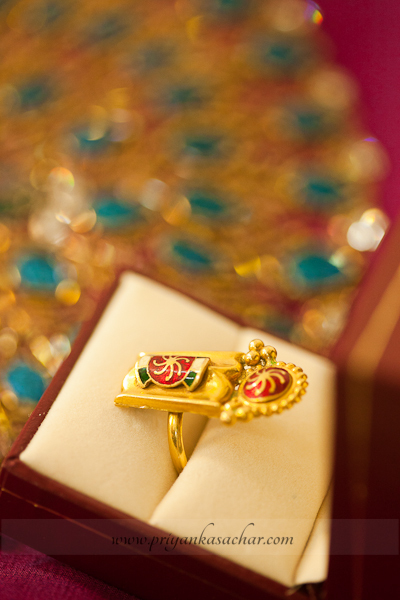 Candid wedding photography is now the norm for that special day, says Akshita Nahar. The traditional wedding album: a parade of pearly white smiles, uptight family portraits, and the odd, awkward couple shot. Your parents or grandparents may tell you they were bullied into these uncomfortable poses by the “studiowalas”. But, in recent years, wedding photography has taken a turn for the photojournalistic, with increasingly “natural” pictures, action shots and fly-onthe-wall images. 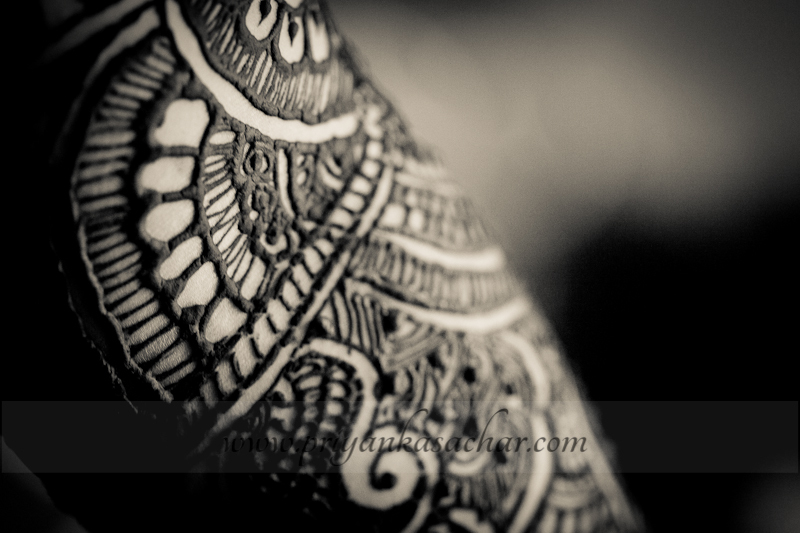 So what is exactly is candid wedding photography? The photographers who practise this genre will tell you that it’s a more realistic record of the wedding ceremony than stagey studio shots. Sephi Bergerson, an Israeli photographer living in India, said candid photography “is basically capturing the moment or documenting the wedding as it really was,” without interrupting the ceremony. Bergerson’s book, The Great Indian Wedding which will be out next year, captures traditions from Sikh, Hindu, Parsi, Buddhist and Christian weddings from regions as diverse as Bengal, Tamil Nadu, Hyderbad and Kashmir. As outsiders, these photographers are able to capture weddings in less formal ways. “The problem with traditional wedding photographers,”said Sen, “is that they make clients pose in a manner which, apart from being outdated, does not feel natural. Clients want images that are true to their own personality and more fun than contrived. The younger generation, growing up in a ‘shoot and share’ world, are leaning more towards images that carry the story of their wedding day… and at the same time look cool, fun and a lot more relaxed.” And while the older generation might still insist on pictures of each and every handshake with the happy couple, most candid photographers recommend they hire a studio photographer for that sort of documentation. At their engagement, Manita and Tanuj Kapoor had a bad experience with a studio photographer who made them “pose and hold the pose”, as Manita put it. So for their wedding, they hired candid photographer William Chang. “It’s a bit difficult to explain to [our parents] that we don’t want these [posed] kinds of photographs, because that’s what they’ve known,” said Manita. So as a compromise, the parents roped in a studio photographer as well. The trend of candid wedding photography began in the West and has been around for at least a decade,but has caught on here in the last few years, accelerated by social media and the Internet. 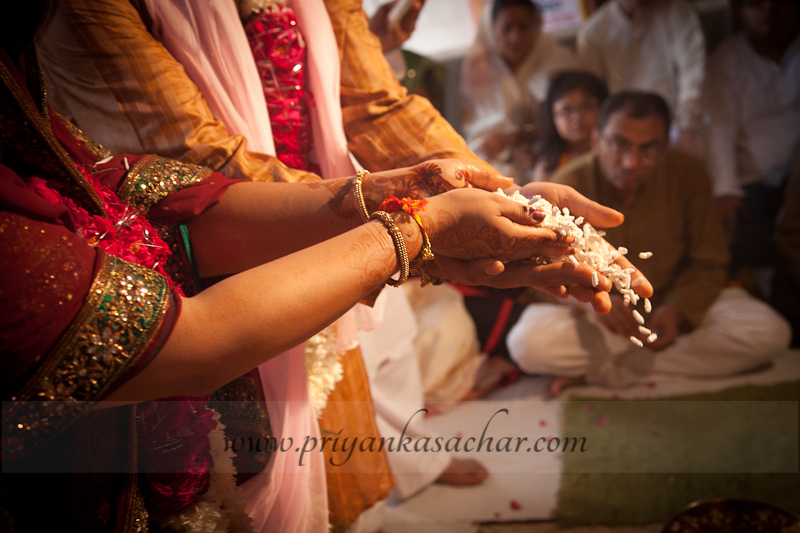 There, as here, candid photographers are also called upon to capture engagements, bridals shoots, even proposals. “These shoots show the whacky side of the couple,” said Anup Joseph Kattukaran (he goes by Anup J Kat, or “Kat” to friends). “The side which you rarely get to see at a wedding because everyone is all prim and proper.” Kat’s portfolios include anything from underwater kissing shots of a couple in all their wedding finery, to a bride’s gown cheekily flying up as she rides off with her husband on a bike. Perhaps 22-year-old Priyam Malhotra’s pictures come closer to natural. Malhotra told us his age is an advantage – couples sometimes introduce him to their family as a friend rather than a photographer, to allow the candid camera an unrestricted view. “Sometimes the ladies are shy because I’m a guy, but considering my age, they see me as a kid and get comfortable,” Malhotra said. 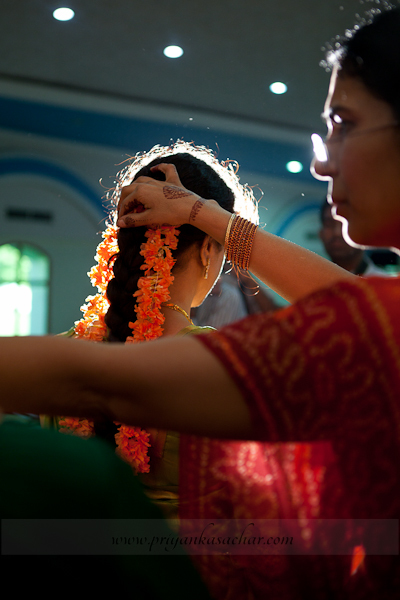 Some of his best pictures are of women applying make-up, pinning saris and giggling before the serious ceremony. While these photographers claim to be making a break from posed photographs, the fact is that even “candid” wedding photography is susceptible to fakery. In a way, the “natural” aesthetic could be seen as a byproduct of the look and feel of reality TV. 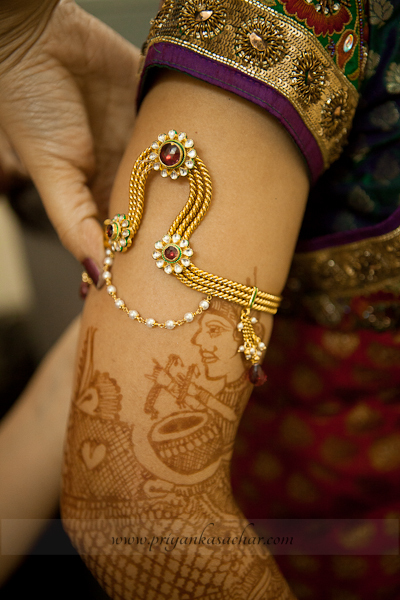 These shaadi shots also often play up the romantic side of weddings (as opposed to the solemn union of two families captured by studio photographs) – quite possibly a reflection of the changing nature of Indian marriages. Whatever the reason, though, candid wedding photography is catching on faster than you can say cheese. Exciting times! Someone told me on twitter, that I had been featured in The Hindu of that day and I quickly took a look. I indeed was! Initially I had my doubts about that person knowing my real name on twitter but apparently he did know it correctly. I’d given this interview very long back and had no idea that it was going to appear in Hindu because it was given to “Women’s feature service”. Without further ado, here’s the article, once again on women photographers and the joys in their wedding photography lives. There are no .pdf’s or .jpgs available from their website unfortunately, hence will have to just paste the text here. The article is also available online here. The same article was published here and here as well. There is a flurry of activity in the room. At one end, a young woman is sitting in front of a brightly-lit mirror with four other women fussing over her. 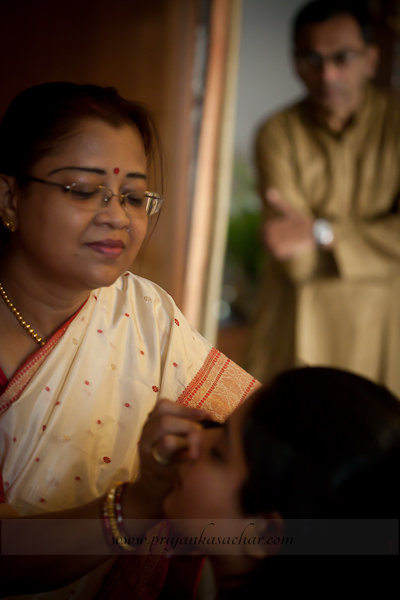 One is applying the makeup, another is doing her hair, yet another is laying out the clothes and jewellery that she will presently don. Every few minutes there’s someone coming into the room, slowly filling it with sweets, chocolates, flowers… This scene is unfolding in the bride’s dressing room, which is the nerve centre of all the pre-wedding preparations. But wait, amidst all the action, there’s one woman, hard at work. 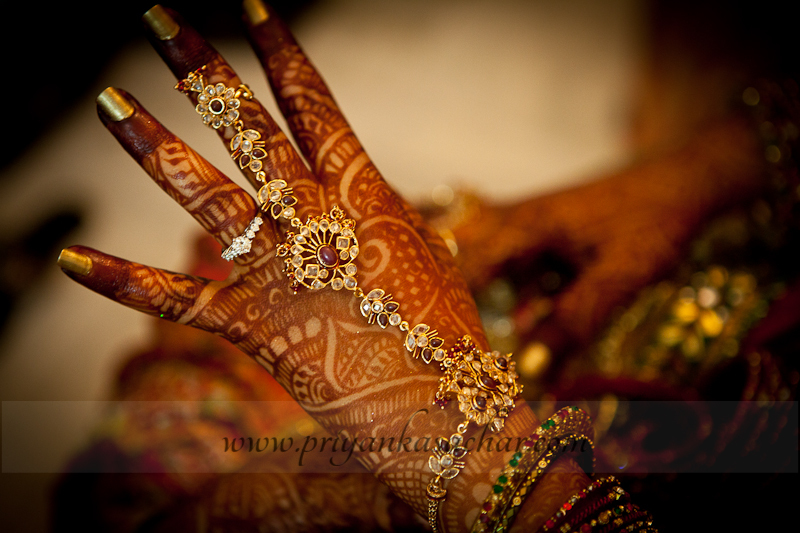 She’s the official wedding photographer, entrusted with capturing the buzz, the fun and the tender moments that make up the big fat Indian wedding. The male dominance in the world of professional photography is diminishing, thanks to a growing clan of women professionals who specialise in candid wedding photography. Women wedding photographers are natural partners for brides, who sometimes feel shy, awkward, and at times even embarrassed while posing for male shutterbugs. The women photographers also bond easily with family members and get complete access to the bride’s dressing room and other areas of the marriage venue so that they can unobtrusively immortalise on film all the landmark moments of the big day. Most women, who make up this select group, come from professional backgrounds ranging from graphic designers to computer engineers. They have chosen to give up their stable, well-paid jobs to pursue their passion. Take Rakhee Yadav, 40, who is now based in the Netherlands. After working as a graphic designer for almost two decades, this mother of a six-year-old daughter is now freeze framing the true essence of an Indian wedding which she considers “so colourful, vibrant and full of emotions”. 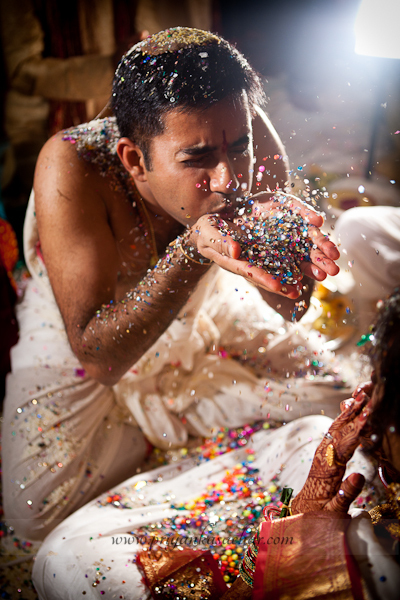 Yadav took up wedding photography because “marriage is the most important day in a person’s life”. She prefers to employ a documentary style while she shoots. 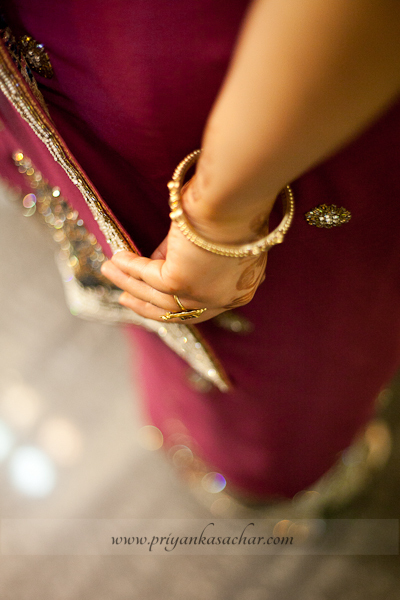 “There is so much emotion when it comes to Indian weddings. This is one occasion when not just the immediate family but distant relatives also come under one roof, something that is rare everywhere else in the world. 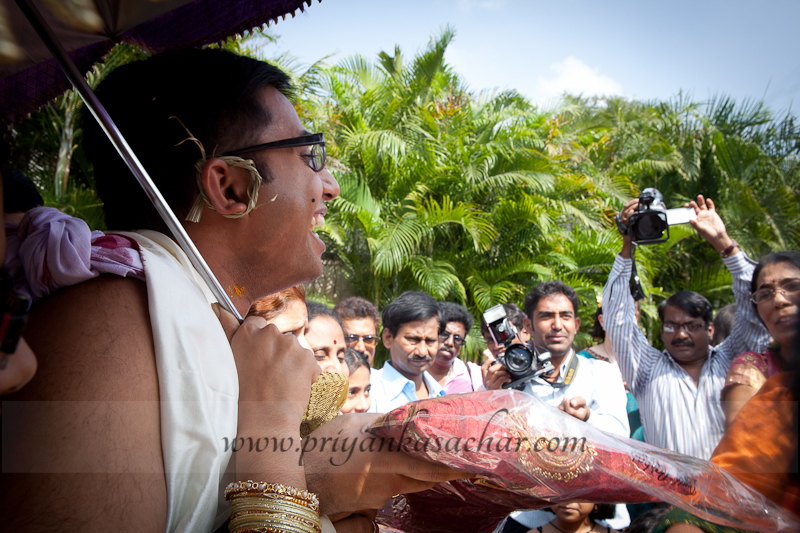 It is not just the emotions of the big day, even the build up to it is momentous,” she elaborates. Like Yadav, Priyanka Sachar, a computer engineer based in Gurgaon, has switched careers recently. She was looking for a way to escape her nine-to-five routine so she left her secure job in 2009 and took up photography full-time. Sachar decided to take the plunge because she was sure of her talent – she had spent hours taking pictures as an amateur, quite a few of which had been sold at exhibitions. 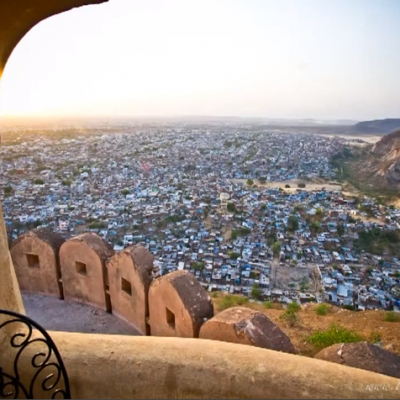 In the last year-and-a-half, Sachar, who sees her photographs as “fine art”, has already travelled across the country to shoot weddings. “The marriage season, from October to February, is crazy, “she says. Sachar takes niche, arty pictures that convey an array of emotions, from nervousness to excitement to laughter. “No ‘sanitised’ group shots on stage for me; those are done by studio photographers,” she says. Incidentally, according to Sachar, studio photographers are often very curious when they spot a woman photographer around, and many assume that “we may be there because of the leverage and accessibility that we have, vis-à-vis the family”. The answer to the above question is easily guessable since I am making it so obvious. :p Yes, it is ME! Well, not solo, but still. The article was about “Twitter’s real stars” – basically about people who are not real life celebrities but have a huge following/popularity on twitter. It has quotes from a lot of usual suspects and then a list of various ID’s that can be followed for various topics. This was the cover story in this edition, so they got their photographers to take images of some of the people to be put up on the cover. Since my twitter id is @twilightfairy, they wanted me to wear a gown & wings, hold a wand etc and basically portray the id. I wasn’t so sure of the idea and initially I vetoed it completely and told them that I would rather have them take a simple picture because a “fantasy” shoot with such props would need a proper make up artist and stylist etc who would be able to make sure that it all comes together beautifully. Since I would be in front of the camera and not behind it in this case, I would have no idea what’s going on. There was also the problem of props. They were supposed to get the other props but they couldn’t have done so for the gown bit .. it had to be something long and flowy to give that feeling. Eventually with no time left and no options left either, I decided to use the next best option. I washed my hair, conditioned it, disentangled it, combed it, serum-ed it and what not in order to be spread around me, the length not being an issue 😀 The other thing I did was – put on some eye makeup (read blue kohl & black liner) and I was good to go. The photographer Narendra Bisht & I had had a discussion about the shoot and the obvious conclusion was that it should be some time in the evening which gives that “twilight” feel (For the record my id has nothing to do with the vampire series – it is all about that time of day). It had to be a green sort of place with lot of trees and the best location for that was Leisure Valley park in Sec 29, Gurgaon. 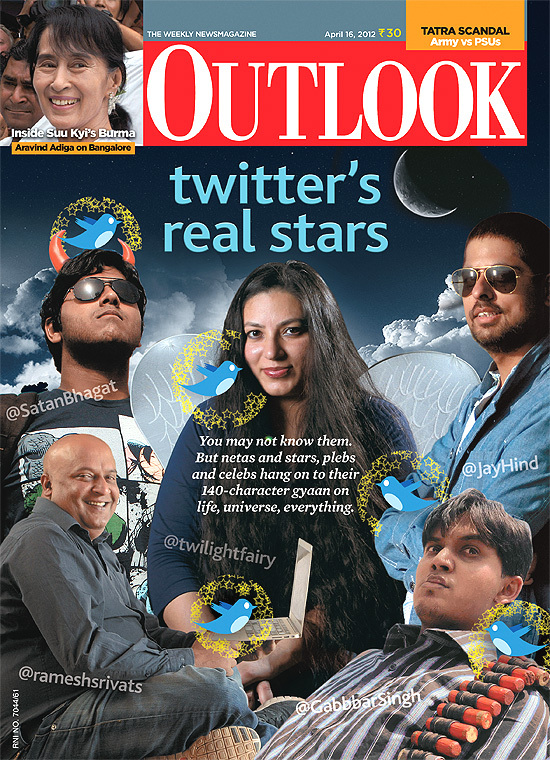 Cutting to the chase, here’s the Outlook Cover and you can read the article here. I have 3 images in the magazine overall (which I’ll probably add later separately after getting them from the photographer). One on the cover, one on the index page (which talks abt the cover story) and one in the cover story. Triple bonanza :D. Here’s an excerpt. Blogging also helped Priyanka Sachar @twilightfairy increase her tweet-worth. Priyanka passed up eleven-and-a-half years as a computer engineer to become a fine art wedding photographer, and regularly tweets links to her work. She hardly blogs now, having “lost patience with lengthy posts”, and can’t say enough about the mercurial nature of Twitter, though her strike rate of 70-plus tweets on a good day says enough. 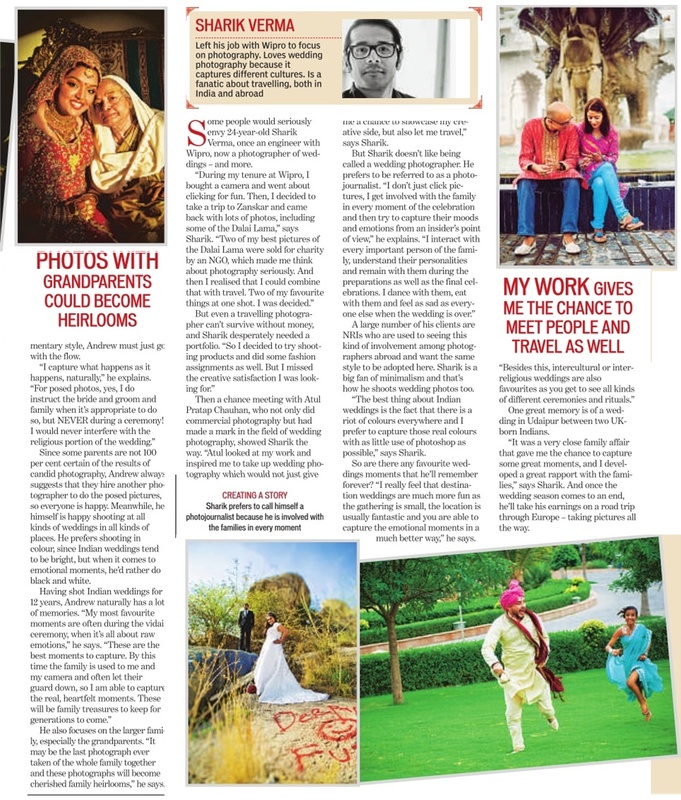 Though I have been on the cover of Telegraph India’s “Graphiti” mag also, as part of a wedding photographers cover story with 2 others, this was an entirely different thing altogether. 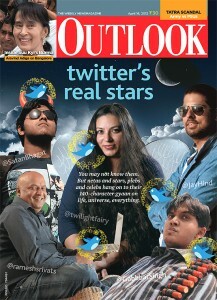 Outlook mag is a bigger deal :). Next in line – hopefully a cover image shot by me. Got featured in Hindustan times’ Sunday Brunch! After getting featured in Telegraph India, Mid-day and more, I recently got featured in Hindustan times’ Sunday Brunch magazine! 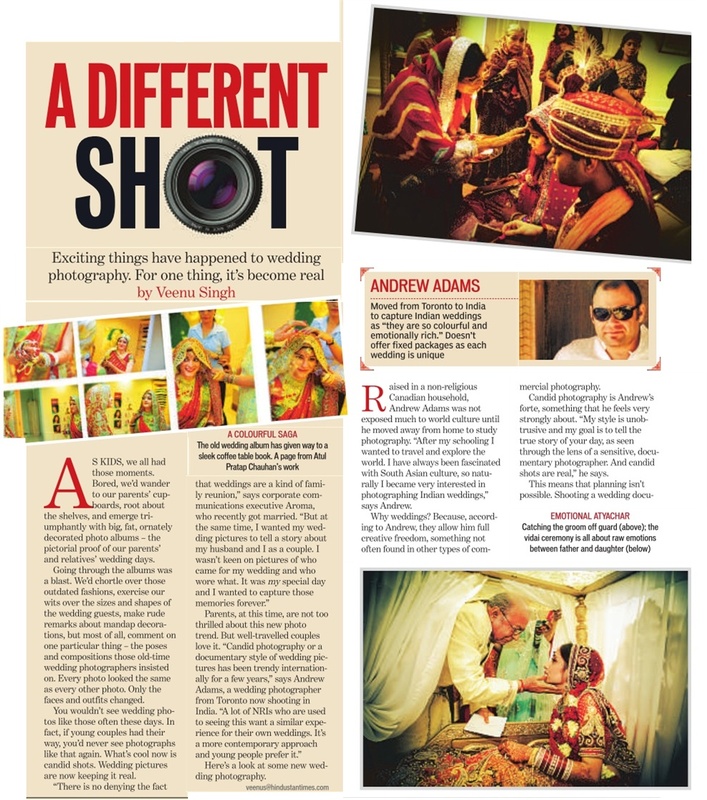 The story was called “A different shot” and featured 4 wedding photographers including me. 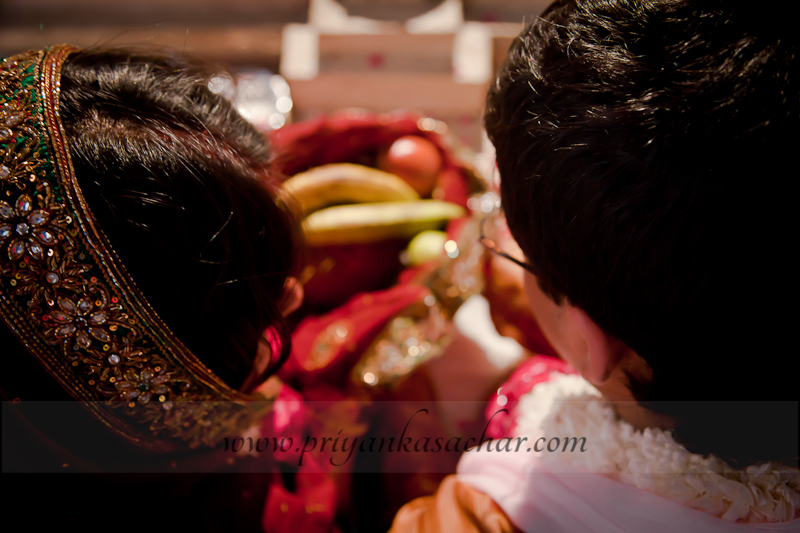 It also included some images from the weddings I have shot. Excerpt follows. The keys to getting that perfect candid shot, she says, lie in spotting moments as they unfold and being almost invisible so that people are not conscious of being clicked. Priyanka loves what she does, particularly weddings that have some sort of twist to them. “I can’t wait for gay weddings to be legalised in India so I can do something different,” she grins.